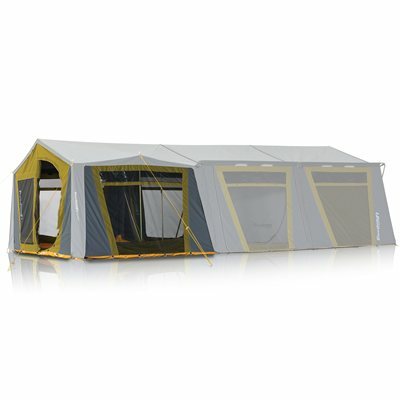 The perfect addition to your Premium Zempire canvas tent. The Premium Sunroom encloses the three sides of the front awning creating a protected living or kitchen area. The removable floor creates a more secure area, if extra sleeping space is required. We are looking for a side canopy to fit our montana 12 2007 in green. Do you have a green side canopy. Camping World Replies: Thank you for your question, the side canopy will fit your Montana 12 but they dont come in a green im afraid. Thats the only thing i can recormend to fit your tent.